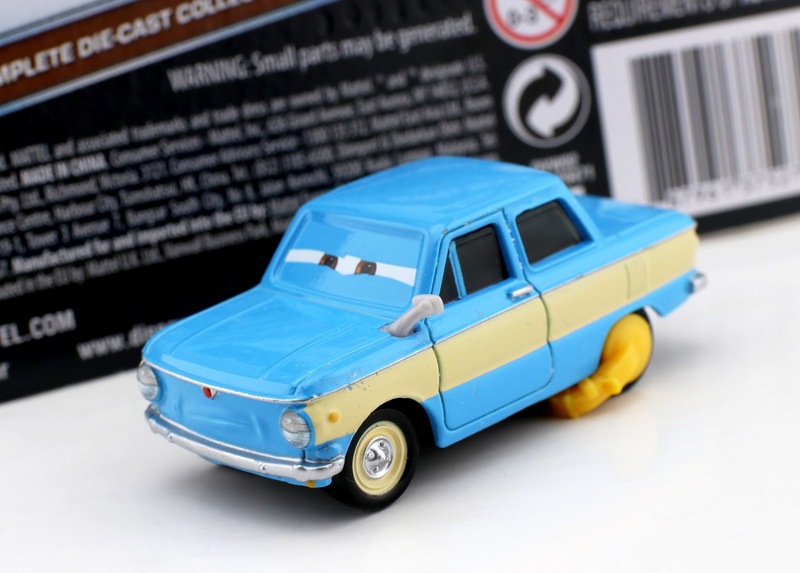 Today I'm jumping back over to my Mattel Disney·Pixar Cars diecast collection to review this year's Vladimir Trunkov with car boot! He is part of the 2017 "London Chase" sub-series (#3/11) and was included in Case B—one of the last cases released before the transition into the Cars 3 line. This case never showed up in my area and was overall harder to find within the US (since Mattel had most of their focus on getting Cars 3 merch out at the time, I understand why this case got mostly snubbed. It came out at an odd time). Vladimir appeared in Cars 2 as the head of the Trunkov family. As shown in the screenshot above, this diecast stems directly from a moment near the end of the film when Sheriff captures him using a yellow car boot in London. 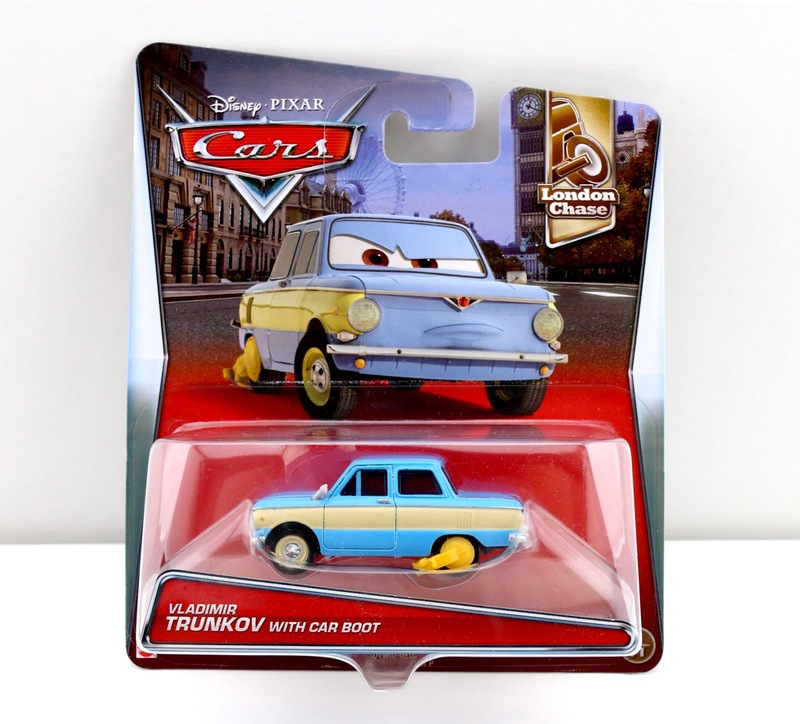 This is the first release of Vladimir with boot, but a standard version of the character was released back in 2011 in the initial Cars 2 line (seen HERE). Honestly I think it's kind of fun when characters are released again with subtle "movie moment" details added. This will be perfect to recreate the scene! His boot (which is plastic, not diecast) can move back and forth but cannot be removed. His details and expression are spot on; he looks straight out of the movie. At this point, checking eBay using this direct link to current listings or visiting Amazon using the link below are your best bets if you're looking to add this one to your collection. Unfortunately I had to resort to eBay since I was never able to find him in stores, but luckily his prices are currently very reasonable. What about you? Were you able to find this case near you? What are your thoughts? Shout it out in the comments below and stay tuned daily for more from my Pixar collection!